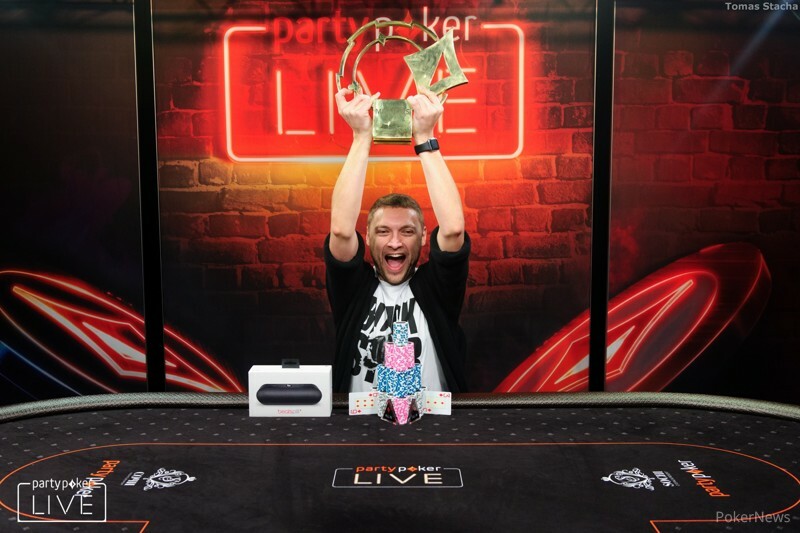 A deep-stacked day ended with Aleksandr Gofman taking down the partypoker LIVE MILLIONS Russia Main Event for $1,000,000 to become the second Russian in a row to win a partypoker MILLIONS event, after Michal Mrakes in Rozvadov three months ago. Coming into the day seventh in chips, Gofman bided his time in the early stages of the day before accelerating up to pass start-of-day chip leader David Laka heads-up. Gofman earned a cool $1,000,000 in prize money and was warmly embraced by his girlfriend, 15th-place finisher Daria Feshchenko when the final river card was dealt. Speaking after his victory, Gofman said that it was an amazing feeling. "It's so nice to do it in my home country. I'm happy, but I don't totally understand it yet!" Referring to the deal that never happened, Gofman said he felt relaxed. "I'd already won a lot of money, so I thought 'Let's play!' When I won that big hand against David [Laka], I thought f*ck it - I'm going to scoop this!" Despite having a lead heads-up, Gofman had a distinct focus when it came to the final few hands of his tournament. "When we went heads-up I had double his chips. I asked him if he wanted to play for less or the trophy; if he wanted the trophy he could take it! "I didn't want all the headache or the pictures - I just wanted to win!" Eventual runner-up Laka reflected on his outstanding run of performances in this and the High Roller earlier this week, which he won. "First and second in two tournaments like this - I can't ask for more. It's amazing. I'm exhausted, really! "There were three friends here, one of my friends had to travel back to Spain, but my other friend is here so we can celebrate!" The action-packed day started with short stacks battling it out to stamp their mark on the day's proceedings. 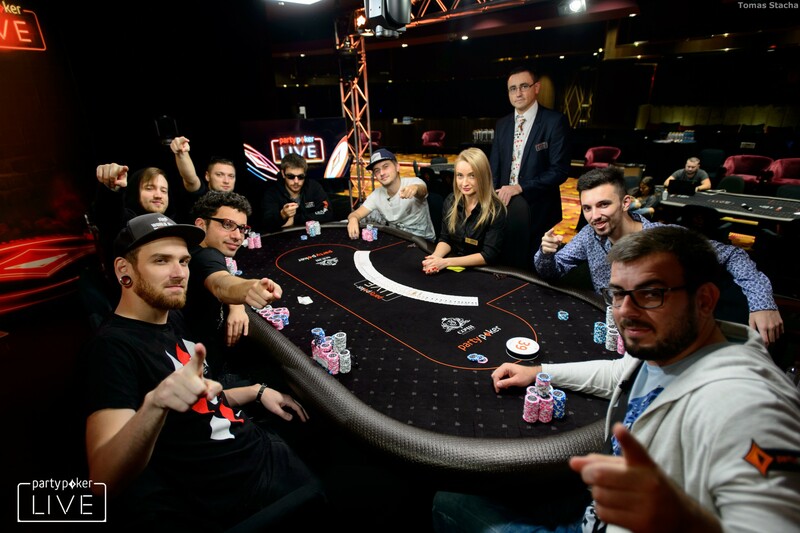 Michael Sklenicka doubled through Leonid Logunov with aces versus ace-king, and Vadim Lipovka managed to put a small dent in Laka's chip lead. However, Lipovka would be the day's first casualty when he four-bet ace-queen into the aces of Sklenicka. There was no help for the Belarussian and he was eliminated in eighth place (81,200 CSU/$70,000). 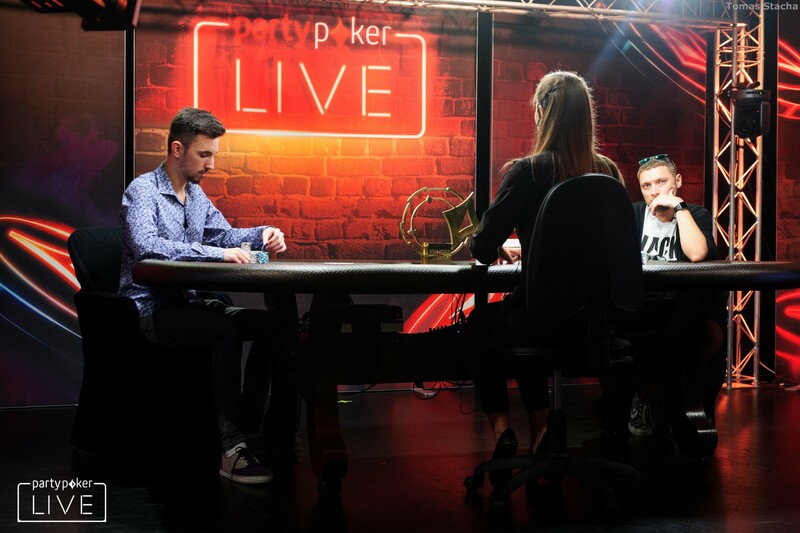 By this stage, it was a battle between David Laka and Anatoliy Zyrin for who could be the most aggressive player at the table, with the pair up well over 200 million chips and clear of the rest of the field. The next elimination was Sklenicka in a cooler when he jammed his pocket tens into the ace-king of Laka. 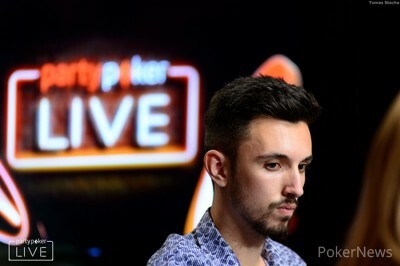 The flop gave Laka top-pair, and the ten on the river appeared to give Sklenicka the win with a set, but it gave Laka a straight and Sklenicka was eliminated. He took home 121,800 Casino Sochi Units or approximately $105,000. Eventual winner Gofman and runner-up Laka would have a tussle which foreshadowed their eventual meeting heads-up, which kept Gofman alive when he moved all in for his last 13 big blinds. His pocket sixes hit a set which was enough to best Laka's ace-jack. Next out the door was Philipp Zukernik who ran into Laka's aces when he moved all in for ten big blinds from under the gun with queen-ten. He exited in sixth place (174,000 CSU/$150,000). It was a similar story for fifth-place finisher Leonid Logunov who three-bet all in over Gofman's raise, and also ran into aces. He took home 232,000 CSU or $200,000 for his deep run in the partypoker MILLIONS Main Event. Both Zyrin and Laka had tussled throughout the day, fighting it out not just for the title of winner of this tournament, but for most aggressive. However, Zyrin's day came to an end in the first level back from break. Laka raised from under the gun with ace-king, and Zyrin moved all in with ace-jack. Laka called and sent Zyrin to the rail. There was a short discussion about the possibility of a deal, but it came to nothing and the three players resumed play with Laka still holding strong at the top of the chip counts. It took a while, and Laka relinquished the chip lead to Gofman, but eventually we lost Aleksandr Merzhvinskiy in third. In a strange hand which seemed to happen in fast forward, Merzhvinskiy four-bet jammed with queen-jack suited out of the big blind, and Laka surprised everyone by calling with pocket fives. The fives held and that sent Merzhvinskiy to the rail in third place for 464,000 CSU ($400,000). 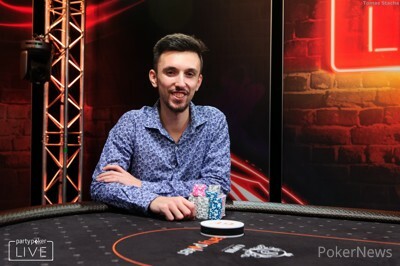 Heads-up play began with Gofman holding a 2:1 chip lead over his Spanish opponent, who was looking to add the Main Event title to the High Roller he won a few days ago here at the Sochi Casino & Resort. Laka managed to wrestle the chip lead back from the Russian, but minutes later bluffed off over 100 million chips to Gofman. Then all it took was a cooler for Gofman to take down the tournament, much to the delight of his girlfriend Daria Feshchenko. Aleksandr Gofman raised on the button to 12,500,000 with and David Laka defended his big blind with . The flop came and Laka checked to Gofman who bet 15,000,000. Laka check-raised to 45,000,000. Gofman called and the turn was the . Laka bet 45,000,000 and Gofman moved all in. Laka thought about it for a moment. "It's a bit tricky but I call," said Laka. The river was the and Gofman improved to a full house, eliminating Laka in second place. He takes home 696,000 Casino Sochi Units/$600,000. David Laka raised to 10,000,000 with and Aleksandr Gofman three-bet to 35,000,000 with . Laka then four-bet to 82,500,000. Gofman called and then checked a flop. Laka bet 40,000,000 and Gofman called. The turn was the and Gofman checked to Laka again and the Spanish player bet 90,000,000. Gofman called again and the river was the . Both players checked and Gofman took down a monster pot with Ace-high. 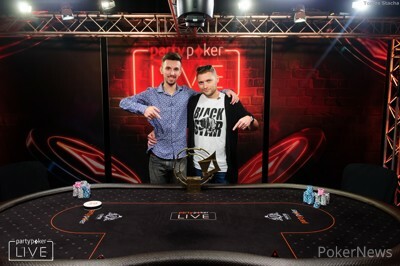 Aleksandr Gofman raised to 12,500,000 with and David Laka three-bet with to 40,000,000. Gofman called and the flop came . Laka continued for 30,000,000 and Gofman called. The turn was the and both players checked. The river was the and Laka check-folded to a bet from Gofman. David Laka raised to 10,000,000 with and Aleksandr Gofman three-bet to 30,000,000 with . Laka called and the flop came . Gofman continued for 17,000,000 and Laka raised to 46,000,000. Gofman called and the turn was the . Both players checked and the river was the . Both players checked and Laka took down the pot. 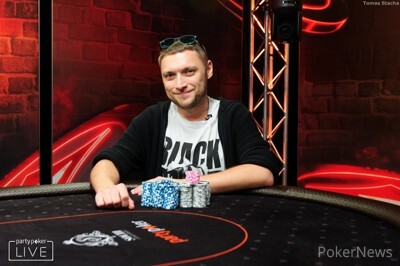 Aleksandr Gofman raised to 12,500,000 with and Laka defended his big blind with . Laka check-called a bet of 15,000,000 on the flop and the turn was the . Both players checked and the river brought the . Laka checked and Gofman bet 30,000,000. Laka called quickly with his pair of tens, but Gofman's rivered Ace was good enough to take down the pot. Aleksandr Gofman raised to 12,500,000 with and David Laka called with . The players checked a flop and the came on the turn. Laka checked and Gofman bet 15,000,000. Laka called. The river was the and Laka checked to Gofman who bet 26,000,000 and Laka called. Laka's two pair was good enough to take down the pot after Gofman mucked. The two remaining players have returned to the feature table and heads-up action will get underway shortly. 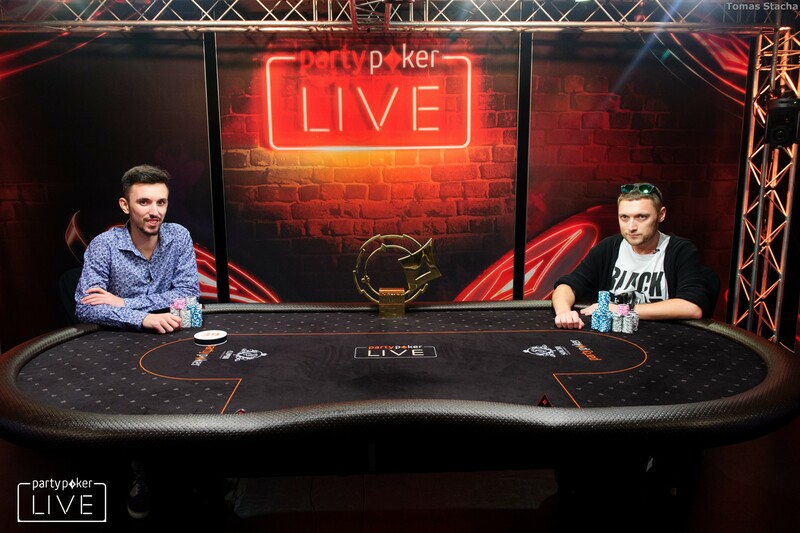 Who Will Win the 2017 partypoker LIVE MILLIONS Russia Main Event?